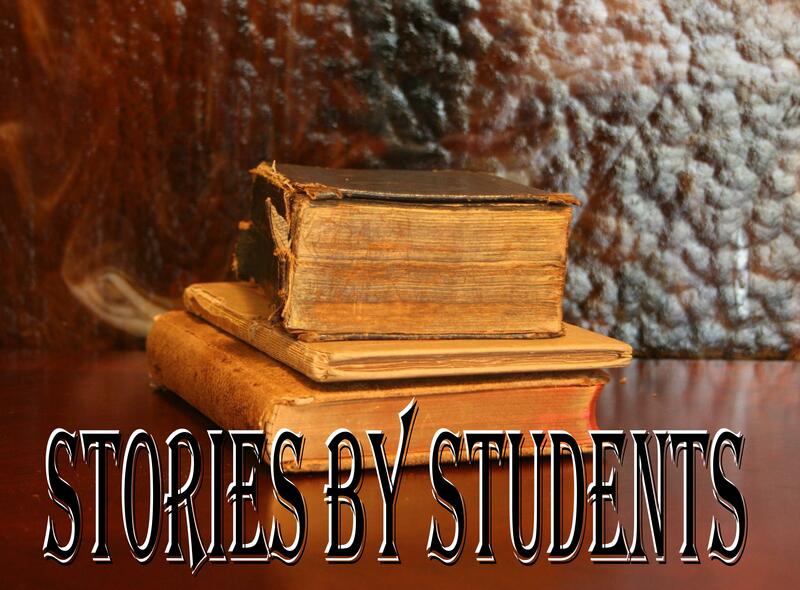 Day two is here for the daily posting of stories by written by students (weekdays only, not weekends). The teacher of their class challenged them to write back stories of one of the characters in my first book, A Mighty Fortress. It was a lot of fun reading them all. Today we have one by Audrey O. and it is about Jed’s father. If you haven’t read the book yet, it’s on sale right now for 99 cents. Enjoy the story and watch for the next story tomorrow! Note: The stories will all be unedited and posted as each high school student wrote them. “A mighty fortress is our God.” Every time the man hears the song he remembers. He remembers that beautiful day, and every torture that had happened after. He remembers and he mourns. It was a beautiful bright day, but even if it hadn’t been, it still would have been the happiest the man had ever been in his entire life. Today was his wedding day. Finally he would be wed to Jane, the love of his life. The music she had chosen rang out over the ranch. A mighty fortress is our God. When he hears it, he thinks of her, of her beautiful faith in God, and how she will always lean on him when life is hard. He turned back and saw her, walking towards him on her father’s arm. She was the most beautiful, amazing person he had ever seen. As she reached him, her father went to sit down. She reached for him, and grabbed his hand. They hadn’t been able to get her an expensive dress, they weren’t rich, but she still looked radiant. She smiled up at him, and turned to the minister. The service was a blur. All he remembered was her smile, beaming up at him. The moment they kissed was the best in his entire life. he man was so happy. Happy for such a long time. They had two wonderful children, and a third on the way. Months passed, and Jane got bigger, the baby in her stomach growing. They couldn’t agree on what to name the baby, but that was alright. They loved each other, and they leaned on God in the hard times, and on each other, and they were happy. Then, everything went wrong. Jane was ready to have the baby, she had said so. He had gone to get the doctor, and when they got back, their oldest child was standing in the doorway crying. No one knew what had happened, but somehow, Jane’s pregnancy had gone wrong. The doctor had worked so hard, had tried to save her, but as he waited outside, the man knew that his happiness had come to an end. When the doctor left the room, the light of the man’s life had died, but the doctor was carrying a small bundle. Joy was shining on his face, as if saving the baby was enough to redeem him for letting Jane die. She had named the baby Jedidiah, Jed for short. It meant beloved of Yahweh, Jane’s last act of faith before her life was over. The man’s life after that was fine. It was not joyous, like those days of his past, but neither was it terrible, after the initial shock. There had always been a pain, and always would be, but he had to live with it. His two oldest children were bearable, but the youngest, Jed, he couldn’t stand. He didn’t know why, but every time he saw him, a terrible pain entered his chest. It was sadness, he knew, but he couldn’t help taking out the anger and sadness on the young boy. He knew what Jed thought, that he hated him because Jed had lived, and Jane had not, but he knew that this was not why he regularly beat the boy. It was not the reason for the pain. It wasn’t until after the boy’s fourteenth birthday, after Jed had left, that the man realized the reason for that pain. It was because the boy looked like him. Every time he saw Jed he saw himself, the man who had not done a thing to save the woman he loved. He wondered why he hadn’t done something to try to save Jane, why he didn’t enter the room, to stay with her in her last moments. The answer was obvious, just as it alway had been. He had cared more about himself than about Jane. He had been afraid to see her, and so he didn’t. That was why every time he saw Jed, he saw himself, and he hurt, he hurt so much. So he hurt others. That was why he had hurt Jed. So now he remembers. It has been months, years, since Jed had left. Now when the man remembers, when he chooses to think about his past, he knows he has ruined his own life. He knows that he trusted Jane to be his mighty fortress, and not God. As he looks back now, Iain remembers, and he mourns.